Aspiring artists could get their designs in Fairway Solitaire. A little bird told me that we have a few talented artists in the Escapist community. If that's the case, I'm going to assume that you like creating artwork, and you like gaming. Correct? If so, read on, because Big Fish Games has an opportunity you may want to check out. 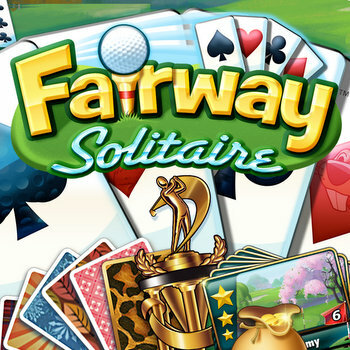 Its surprisingly addictive Fairway Solitaire is due for a graphical upgrade, and Big Fish wants its community to design a new card back. If you win, there are a few prizes in store for you, including an honest-to-goodness in-game credit. The rules for the We Got Your (Card) Back contest are fairly straightforward. Create a 364 x 540 pixel design for the back of a card and e-mail it to Big Fish. As long as the material is 100% original, you're good to go - provided that you are at least 18 years old and live in the United States. Entrants may submit up to three designs, and should be aware that while Big Fish will not own these submissions, entering the contest does give Big Fish the right to alter submissions and use them as it sees fit. For artists looking to gain a foothold in the competitive world of game design, this seems like as good a place to start as any. Big Fish is a sizable company that makes a ton of games, and has earned praise from the mainstream gaming press, including Penny Arcade. In addition to your design appearing in-game and your name in the credits, you'll also receive a $50 iTunes gift card as an added incentive. If you have some graphical chops (and Adobe Photoshop or other software that can handle .psd files), U.S. citizenship, and a birth certificate from 1992 or earlier, you pretty much have everything you need to enter. Now go forth and create!